When it comes to gaming consoles, Nintendo is one of the best that you can get for money. Nintendo Switch is the seventh in line when it comes to gaming consoles from the Nintendo house. Unveiled in 2016, Nintendo Switch is available to the customers since the month of March in 2017. It is a hybrid console, which is an advantage in its own because it can be docked on to a TV and be used as a tablet when it has been undocked from the TV. Nintendo Switch basically comprises of a console, a dock and a controller to go with. Nintendo describes Nintendo Switch as a home console, which people can take on the go. Excited? Can’t wait to get your hands on it? There is a problem that it is almost impossible to find a Nintendo Switch these days because of the short supplies from the company. However, Nintendo making an effort to meet the demand and there are a few online and offline retail stores where you can buy Nintendo Switch right away. Want to know all the places where you can buy Nintendo Switch right away? If yes, follow the article and find the places to purchase Nintendo Switch. Can’t go to the physical stores right now? Well, you can get your Nintendo Switch right on Amazon. If the store is out of stock and you are a member of Amazon prime, then just get on to their mailing lists to get notified about the future stock arrival of Nintendo Switch. The resellers are selling Nintendo Switch for $100 more than the original price. 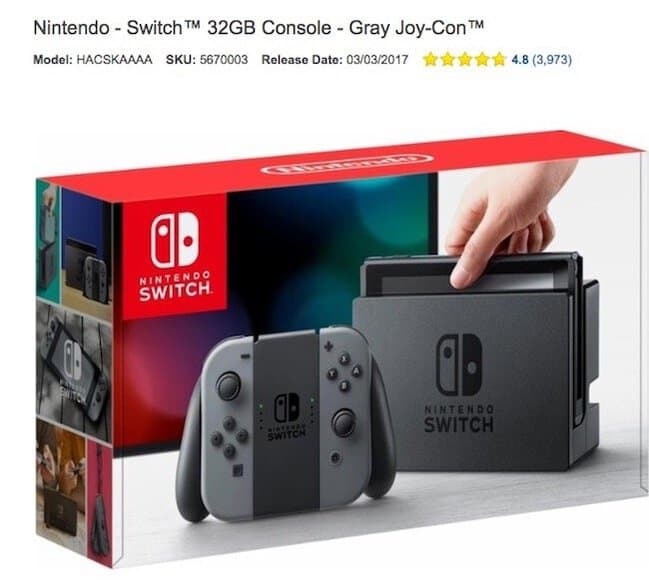 If you still want to buy, here are the listing for Switch Gray, Switch Neon and Switch Gray. Even the large and expensive bundles of Nintendo Switch have been sold out when it comes to Best Buy. A regular check on the website will allow you to know when the stock is back. A regular check is needed because Best Buy announces the availability of Nintendo Switch in a sudden manner without any prior notice. At the time of writing article, there are few pieces of Nintendo Switch Gray and Neon is available. Hurry up before they are gone. Click the link! Once you buy Nintendo Switch, make sure to check guide to setup parental controls in Nintendo Switch if you children will play too. Like the other stores, GameStop too is out of stock, thanks to the huge demand of Nintendo Switch. 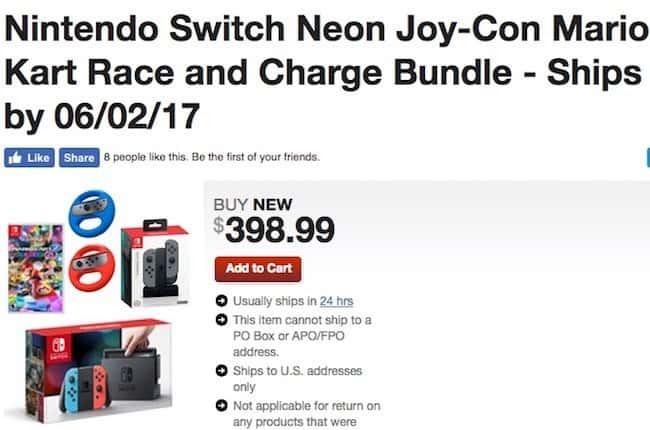 However, GameStop is allowing consumers to pre -book the bundle which includes Neon Joy-Con system, with a physical copy of Mario Kart 8 Deluxe, Nintendo Switch Racing Wheel 2 Pack, and the Nintendo Switch Joy-Con Charging Dock and all of this for just 398.99. Shipping of new Nintendo Switch stock will start from 2nd June, 2017. If you really want your hands on the Nintendo Switch, then Target is the place where you should keep your eyes on. Among all the places that currently sells Nintendo Switch, this place seems to be the most stocked of them all. 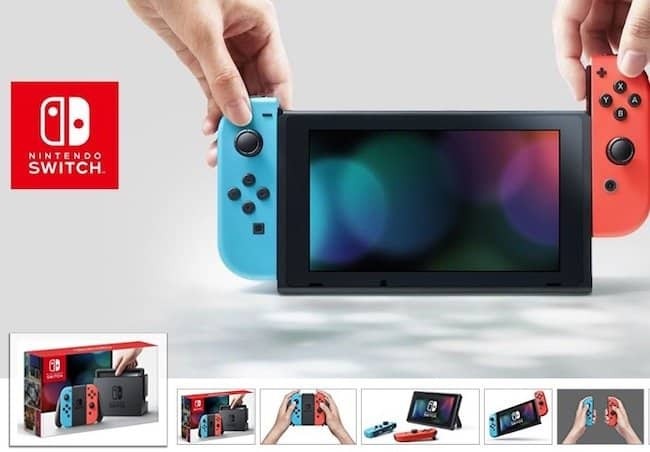 However, at the time of the writing this article, both Switch Gray and Switch Neon was out of the stock but they can arrive anytime. 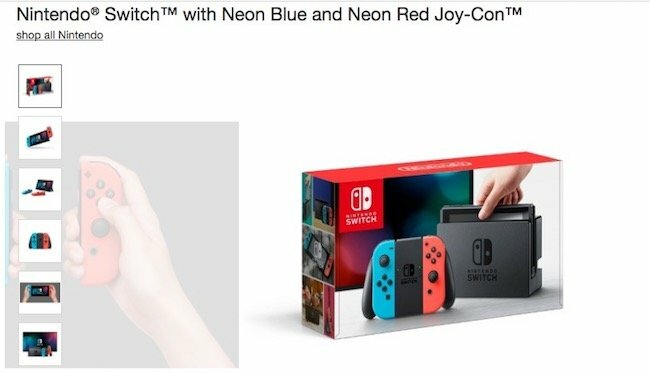 Make sure you can check both these links regularly : Buy Switch Neon and Buy Switch Gray. According to the officials of Toys R Us, Nintendo Switch will be restocked in the stores in the month of May. But it has also asked the customers to be there before the stores open if they want their consoles because there would be a limited stock of Nintendo Switch with them this time. However, they have said that the consoles will be available all overs the US. Well, these are the places where you can get to buy Nintendo Switch. However, due to the high demand and limited supply of the console, it is better if you are regularly keeping an eye on the websites of these stores in order to get notified immediately upon restocking. Have you bought the Nintendo Switch already? 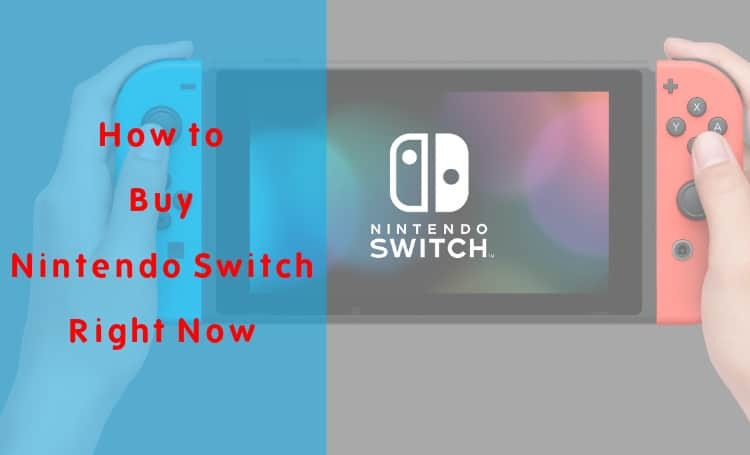 Why not share with our readers to that will help them to buy Nintendo Switch.